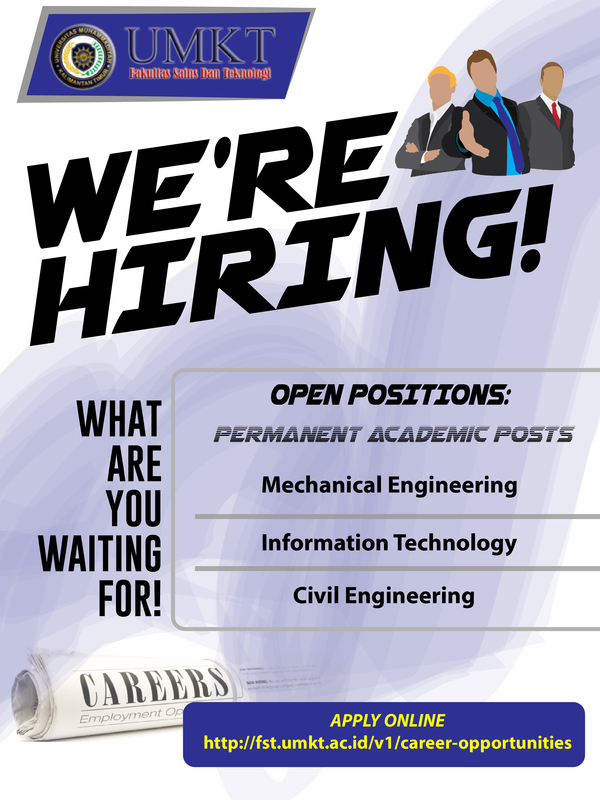 Fakultas Sains dan Teknologi (FST), Universitas Muhammadiyah Kalimantan Timur (UMKT) invites suitably qualified candidates to join us for the applications of permanent academic posts in the areas: Information Technology, Mechanical Engineering and Civil Engineering. The applicant must have at least Master degree in the relevant area. Please type your complete address including the post code. Copyright © 2018 Faculty of Science and Technology (FST) – UMKT. All Rights Reserved.